Welcome! From time to time we offer coupons on this page. Take advantage of these savings while they last…get your home power washed or its windows cleaned, so it will look its best! 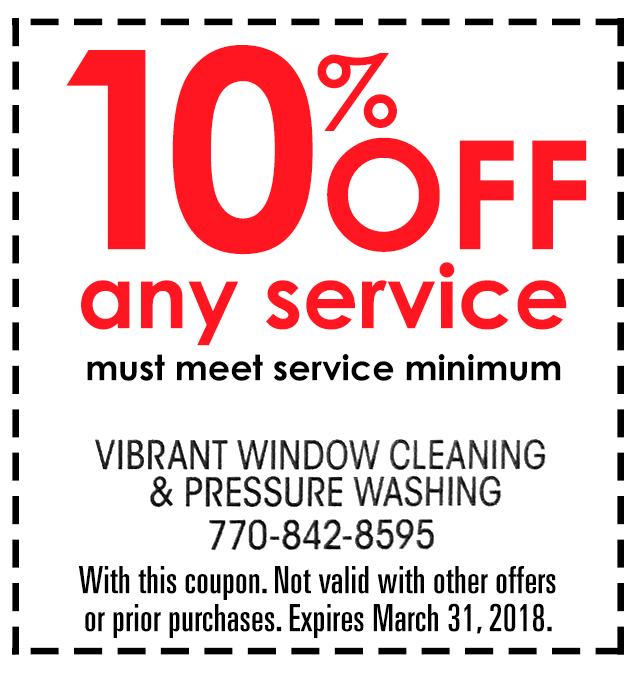 Please reference the coupon(s) when you contact us at (770) 842-8595, prior to your service. Offer may be removed at any time. Vibrant will provide the best in window and pressure cleaning services, quality, and utmost courtesy.